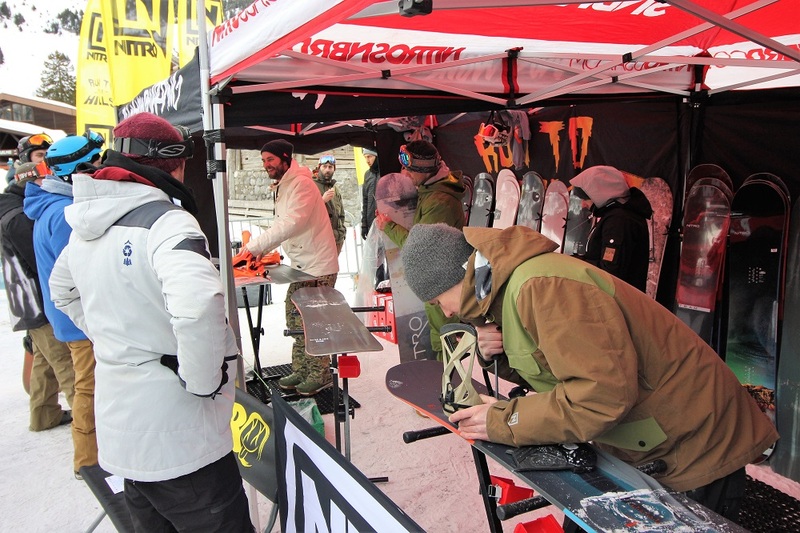 780 people, 308 stores came to La Clusaz for the only B2B event dedicated to the snowboard, the only opportunity to snow test all equipment for winter 2018/2019. An attendance rate up 4% compared with last year. Good numbers, despite the bad weather on Tuesday 16 January, which slowed down the arrival of stores from surrounding resorts. Tuesday is generally the second busiest day after Monday. In addition to French retailers from all over the country, the influx of English, Swiss and Belgian stores is growing (+ 2% foreign visitors, especially English and Belgian). 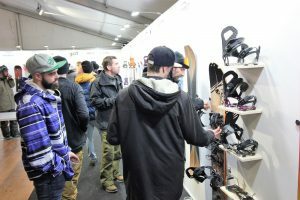 For Mathieu Kurtz, in charge of this trade fair in the snow, “This 17th Snow Avant Première remains a very good edition”. Loan Dupont of Nitro agrees, “we are very satisfied with the attendance. On our side, we had a good event with the tests and good feedback on the range. 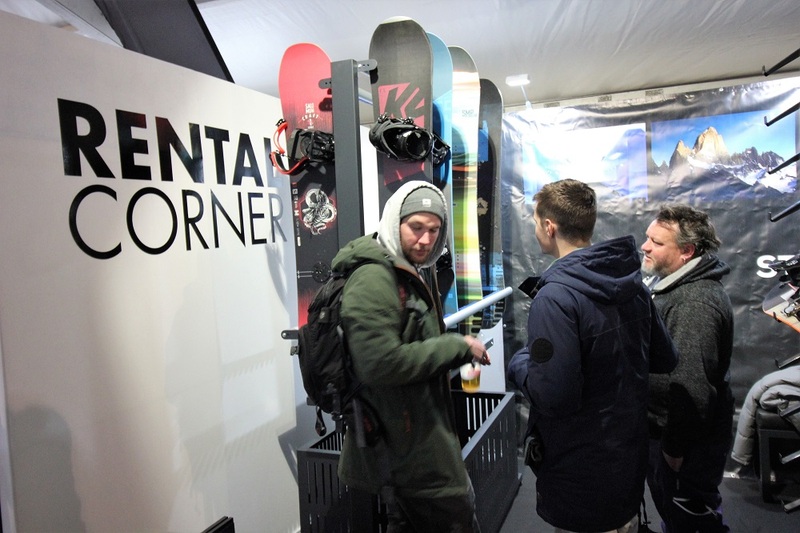 Customers and testers were also pleased with what they could test and see at Snow Avant Première. We feel that they really come to test and see what they can do next year.” With this snowy winter, business is more relaxed and minds are freer. The business atmosphere was nothing like the gloomy mood of the past two winters. “We have seen enthusiasm from the retailers,” confirms Franck Rossignol of Burton. “However, this season highlights the projects that are moving forward and those who are in a more defensive position or who may be out of breath because, with the same data, not everybody has the feeling that the season is super positive,” says Franck who notes a change in buying behaviour. “3 types of consumers are emerging: those who react to novelty and innovation, those who are sensitive to firm favourites and finally those who have a more reasoned buying behaviour.” Damien Fenart, MD of Green Door (Nitro France) is optimistic, “we are turning a corner, the snowboard is coming back, so take pleasure in it and give pleasure also to your descendants!”. The future of snowboarding will be through children and probably also through rental. 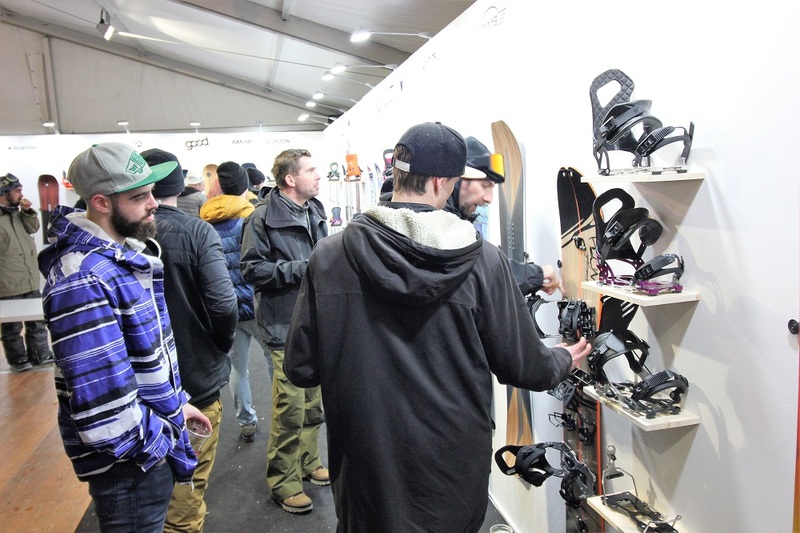 The new exhibitors at this 17th edition : splitboard, ingredients, textile and accessoiry brands. The 1st participation by a 100% splitboard brand, the only French manufacturer, PLUMsplitboards from Haute-Savoie offers solutions for all splitboard users. “As a brand dedicated to splitboard, we are at the Snow Avant Première to highlight this activity. 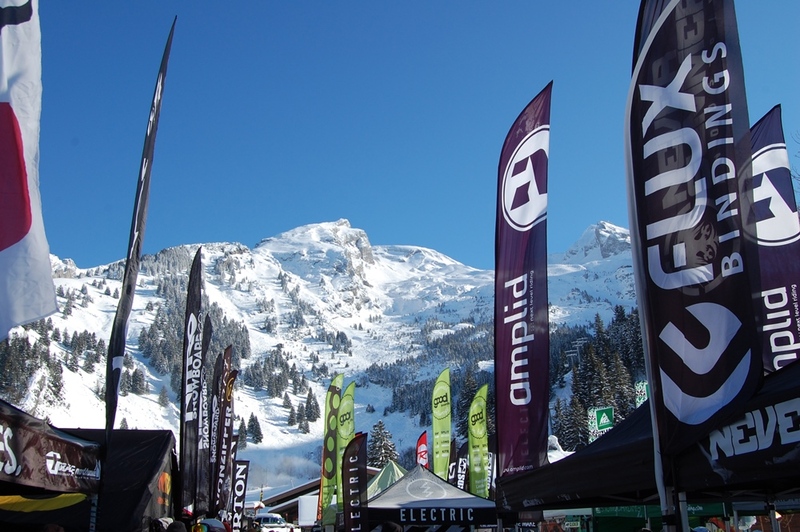 We were not present at previous editions owing to lack of budget, but today our presence as a brand is legitimate, as we are the only European splitboard manufacturers. We need to be represented, especially on our domestic market, where we have around twenty points of sale,” says Ennia Poggio, head of communications. 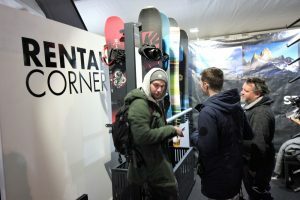 In the presence of its designer, Christophe Etallaz, and Gaël Armand, in charge of sales, the brand presented and allowed testing of its Prems and Talps splitboards, its Feyan binding system and presented its 2 new products: The DARI, a rear entry binding with Fastec technology, and the SOK, a model for hardboots. “People were interested to try, but there is a difference between liking the practice and choosing it for your store. This is where you have to convince people, both for rental and products for sale,” says Gaël Armand. The world of split remains the main driver for innovation. At Salomon Snowboards, one could also discover the first detachable splitboard boot, the Trek, and the completely revised Première 4-part split which weighs 750g less than the old version and benefits from Aero core technology borrowed from ski mountaineering. K2 unveiled its new split binding with the Voilé system, Jones, the new Mind Expander split and Amplid a prototype under test, the Microgram, even lighter than the Milligram at 2.2kg for 158cm, who can say better than that! 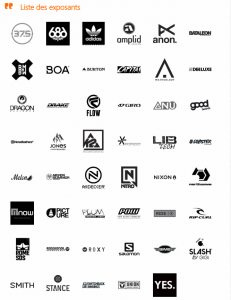 For the first time Snow Avant Première welcomed 2 ingredient brands: the Boa lacing system and 37.5 technology.Created 17 years ago by an American snowboarder, today around twenty brands include the Boa system on their boots. 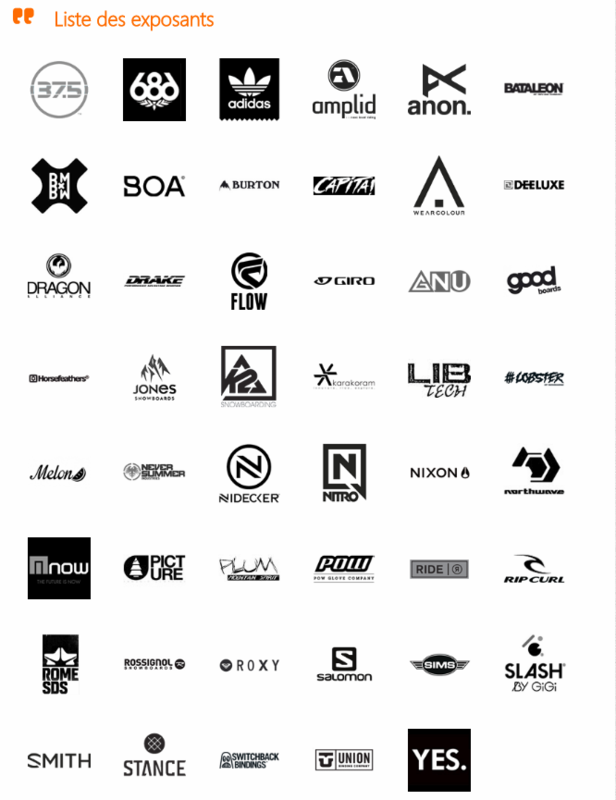 Boa has extended to cycling shoes, ski boots, wakeboarding shoes, safety shoes, and recently running shoes. “We wanted to be present at this event to be in contact with the stores, it’s a great opportunity. Many retailers came by, they were given Boa repair kits: they have been very receptive,” says Alexander Pollock, representative for France. 37.5 represented by Edouard Liffran, managing director for Europe, opted for a stand and tests of jackets from Rip Curl, its historic partner. “We wanted to focus on this simple and mechanical technology, based on natural particles used in two ways: either incorporated in the thread or in the membranes. These natural particles – active carbons from coconut shells or volcanic rock dust – have 2 properties: 1) the ability to absorb moisture either as vapour or in the liquid state, 2) the ability to absorb the infrared emitted naturally by the human body. Consequence: Moisture is pushed from the inside to the outside of the garment or clothing system.”. The 37.5 technology, a reference to body temperature, keeps the body dry, but also keeps the body’s internal temperature constant. Like Boa, 37.5 has expanded its market: from purely sports brands, it has opened up to work clothes, special forces, bed linen, and over-mattresses. Next winter, Rip Curl is launching puffers with 37.5 quilting. Among the newcomers, Horsefeather snow wear and Melon eye wear are targeting the French market. For Horsefeather, a Czech brand, though founded in Canada in 1989, it is a return: “Present 5 or 7 years ago, we are now returning to the French market. The retailers we have seen are receptive to the look, the quality and above all the price. We should achieve good results,” says Patrick Bourgeois, the new representative for the whole of France. 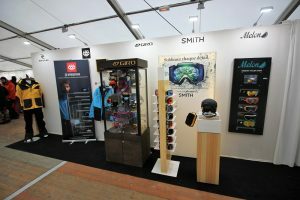 Melon Optics presented and allowed testing of its concept of customisable goggles and sunglasses, “We want to be in the French market, which is why we are present at Snow Avant Première. The tests went well, all our models came out well,” says Neil Slinger. 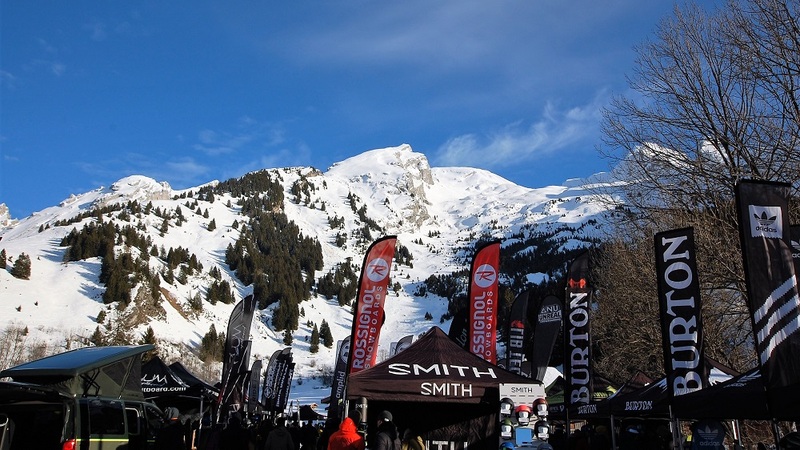 Finally, wherever there is snowboarding there is atmosphere; on the Sunday, the organisers offered an aperitif for discussions at the end of the day, to debrief in a spirit of networking. On the Monday, this was done in partnership with Nitro, which screened its movie 28 winters narrated by Tommy Delago, the co-founder of the brand.